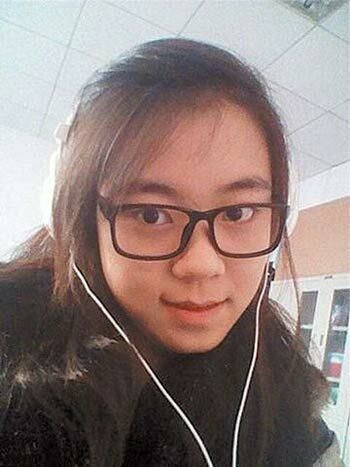 The below article was translated from 21cn and explains how a university student died in a tragic accident after attending a party with her teachers. We sent someone to Qingdao to investigate the facts of this story and will comment in the next few days. We hope people are intelligent enough not to jump to conclusions or make any assumptions. But we do urge teachers everywhere in China to use common sense and good judgement about socializing with students. We do have an ethical and moral obligation to our students, and although we are not their parents, at times we are their surrogates when no other adult supervision is present. We should all know where our responsibilities begin and both in and out of the classroom. Please refer to our Teachers Code of Conduct emailed to members on October 7th, 2011. If you would like a copy, please send an email to: info[at]ChinaForeignTeachersUnion.org and you will have it within 1-3 working days as we are still settling in and unpacking after the move. Now read this article and feel free to share your views and concerns with us in the comments section below or by email. You need not publish your full name. "On the night of October 27, 19-year-old student Liu Xiaoao went to dinner with five other students and six teachers from Qiushi Technical College in Qingdao. Later that night, at 22:34, a reportedly inebriated Liu fell to her death out of a fourth-floor bathroom window. Victim's father: "They're hiding the truth"
According to a report by local Qingdao media, the group consumed forty bottles of beer that night. Liu's father, however, is skeptical of local media reports, believing them to have been misled by Qiushi Technical College. "School authorities told TV reporters and students that my daughter was drunk when she fell and that it was an accident. But who can prove it was an accident? Who can prove that my daughter was drunk?" said Liu's father. According to him, Liu was almost 19 years old when she died, and was studying to be a flight attendant. As to the death of his daughter, Liu's father told reporters, "My child went to college to learn; who takes a kid to ‘eat dinner' in the middle of the night like that? Most importantly, did those teachers make her drink? If they did, what were they up to making an impressionable girl like that drink so much? If there was no alcohol involved, how did a sober person manage to fall out of a building? Did they do something to her during dinner? Did she die while escaping or did someone push her? …. These are questions that Qiushi Technical College need to answer!" "The school didn't tell us until the day after she died. Why didn't they tell us immediately? What were they doing for a day? It's been eight days now, and the school has been avoiding people. They're hiding the truth and shirking their responsibilities." School party secretary: "Don't make something out of nothing!" On November 6, Qiushi's Party Secretary Xu Jianzhong answered a phone call from reporters, but became angered when asked for an interview: "You're just a reporter from a little business paper, but you're not reporting business news; why are you reporting on this? What's it got to do with you? Are you police news? Don't make something out of nothing!" The secretary then abruptly hung up. A young person claiming to be a current Qiushi student told reporters in hushed tones, "The school is hiding the truth, something more sinister than murder. All they think about all day is how to recruit more new students and cheat them out of more money." On the afternoon of Nov 21, Qiushi Technical College finally responded to the tragedy. Deputy Party Secretary Liu Changyu expressed deep sadness for the death of Liu, and announced that the teachers involved in the incident have been either removed from office (as was the case of the dinner's main organizer) or are under investigation and strict supervision. Liu Changyu also issued a formal apology to Liu's parents, adding that after deep reflection, the school has learned a lesson; starting today the school will pay special attention to student safety and strengthen the safety consciousness of its students. The Deputy Party Secretary noted that the teachers present at the dinner were directly involved in the incident, and that from now on teachers at Qiushi will receive stronger moral education and will be required to treat their students with the same sense of protection as they would their own children." The CFTU extends our most heartfelt sympathy and condolences to the Liu family over their tragic loss.